The biggest lowland flood forest with oaks and hornbeam in Slovenia, on a transition area between continental and pannonian climate. It extends on an area of 2400 ha, between the river Sava in the north and Krka in the south. In the heart of the forest, there is a secondary jungle that has been protected as a nature reserve in 1952. The oaks in the jungle are 40m high and more than 250 years old. Besides the English oak, there is also hornbeam and black alder on sodden ground. 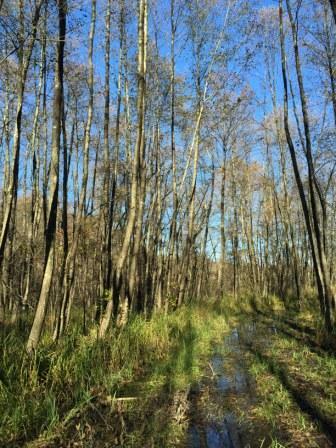 The forest Krakov shelters numerous animals and plants and it’s a wetland of national importance. 122 birds fount their place here, a lot of them are very rare in Slovenia, like the black stork and the white-tailed eagle. Wetlands are very frequent, one of the most known is Trstenik, an important bird area, spawning ground for fish and frogspawns on the European scale. Plavček, which during spawning time changes in a distinct blue colour, is a great example. The forest Krakov is home to protected plants, like fritillary or snake’s head. It’s known that in the southern part of the forest there’s a big reservoir of thermal water with active substances. The English oak from the forest Krakov is the base for the sculptures near Cistercian monastery in the vicinity of Kostanjevica na Krki. The first to have explored, measured and made a map of the forest Krakov was Josip Ressel, a forest engineer who worked in the area around the year 1820. In his literary work Kloštrski žolnir, Josip Jurčič narrates how Josip Ressel used to meet with Kodranova Katica in the village Zaboršt, under the largest hornbeam in Slovenia. 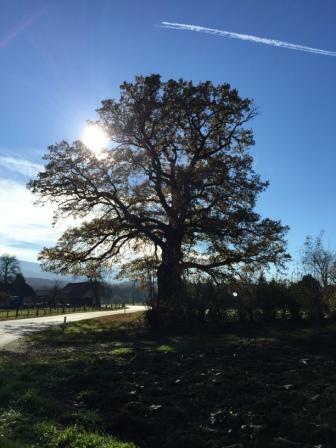 In the village Malence grows the second largest oak in Slovenia. Cvelbar’s oak has a circumference of 7m, 33m of height, 65 cubic meters and has stood on that place for more than 300 years. Today, the Ressel’s hiking trail leads along the main sights (the wetland Trstenik, the secondary jungle, Cvelbar’s hrast). It’s 8km long, takes 2 hours and it’s named after the forest engineer and inventor of the propeller, Joseph Ressel. 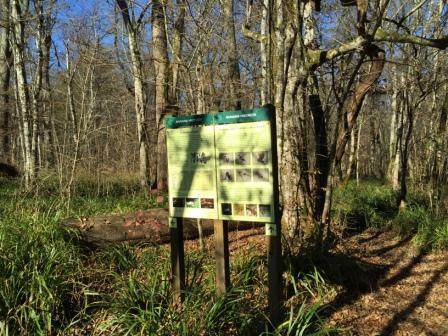 It’s an educational path for all who are interested by the flora and fauna of a unique natural space. For most part of the year, the ground is soaked so we suggest you take boots. With bad weather (for, rain) and lack of orientation it’s not recommended to go without a local guide.